One better than the original suspension, adjustable for ride and comfort at the top. 77,47 € 77.47 tax incl. 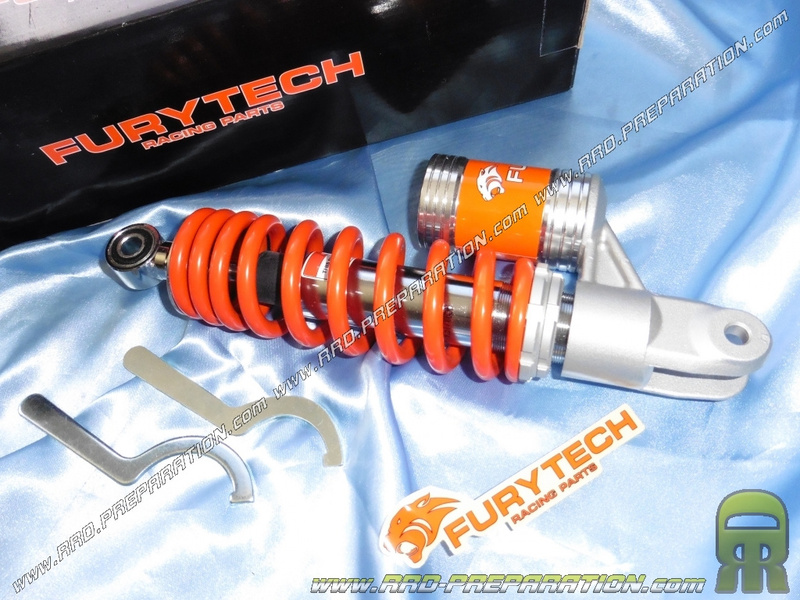 Of excellent quality and ideal to replace your old worn shock absorber while improving aesthetics and comfort, this is the brand of shock FURYTECH model gas. Only available in silver orange this aspect, it is assembled on booster stunt, nitro scooter ... This piece has a quality / price impeccable. It is important to remember the vital and important role of depreciation, it allows to absorb shock caused during acceleration, the ramp-up and the road used type. Good damping integrated part of your safety while traveling, he holds an equally important role in handling.